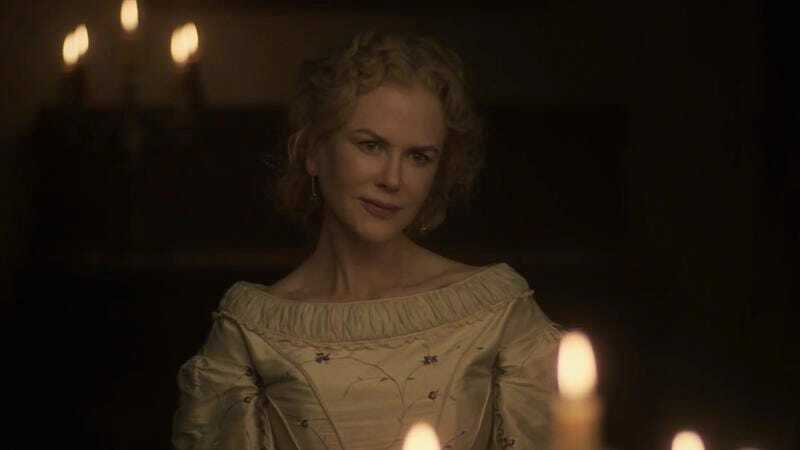 The lineup for the 70th Cannes Film Festival was revealed overnight (or earlier today, if you’re in France) and, while it includes some major American movie stars—Nicole Kidman alone has four projects screening at the festival—major American movie studios have been shut out from the big opening-night slot. Instead, the festival will open with French director Arnaud Desplechin’s Ismael’s Ghosts, starring Mathieu Amalric as a filmmaker whose relationship with his current partner (Charlotte Gainsbourg) is thrown into chaos by the return of a former flame (Marion Cotillard) once thought dead. Also reflective of the shifting cinema landscape are the inclusion of more female directors (12 of the 49 features announced are directed by women, which, yes, is an improvement) and a VR movie from technology-loving The Revenant and Birdman director Alejandro G. Iñárritu, the first to screen at Cannes. Called Carne y Arena, the film follows the journey of migrants across the U.S./Mexico border. You can see the lineup—excluding the Directors’ Fortnight and Critic’s Week series, which have yet to be announced—below, courtesy of Variety. And you can read The A.V. Club’s coverage of Cannes, where we’ll be on the ground starting May 17, next month.